The address is 109 rue Basse des Grouets, Blois. The street runs parallel to the Loire River, one road back from the riverside main road going from Blois to Amboise, on the Amboise side. 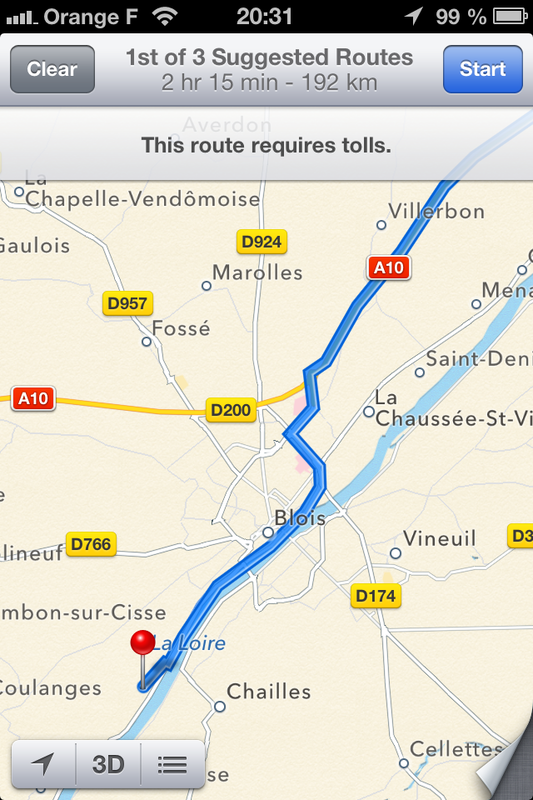 Just follow Blois Centre when you leave the motorway. Drive through Blois, with the river on your left. You’ll go past three bridges. Note that there is a parking lot along the river before the second bridge. The area closest to the bridge has parking meters but halfway down it becomes free. 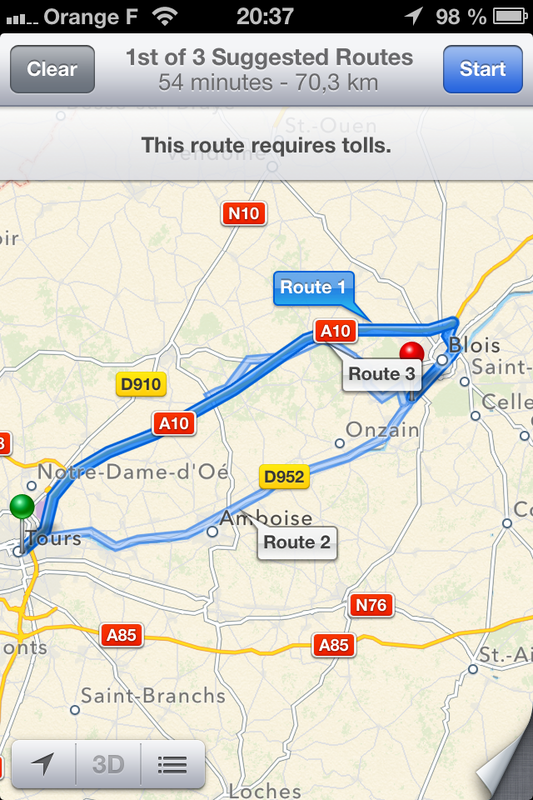 This can be useful when visiting Blois. After the third bridge, watch out for a restaurant on your left called L’Embarcadère (which I recommend, by the way and is open every day, including Sundays). Keep going another couple of kilometres. Just round a bend, on the third street on your right after the restaurant, you’ll see a low sign saying “pain bio” (organically-grown bread) and a higher sign saying “Les Grouets”. Turn right into rue Basse des Grouets and keep going until you find 109, on the right. If you miss the turn-off on the riverside road, you can turn right at the next street you come to, then turn left into rue Basse des Grouets. If you’re coming form Tours, you can either take the A10 motorway (route 1 or route 3) or follow the very pleasant highway along the Loire (route 2). The turnoff is a little difficult to see, but after you go past a golf course on your left, watch out for a radar on the right. 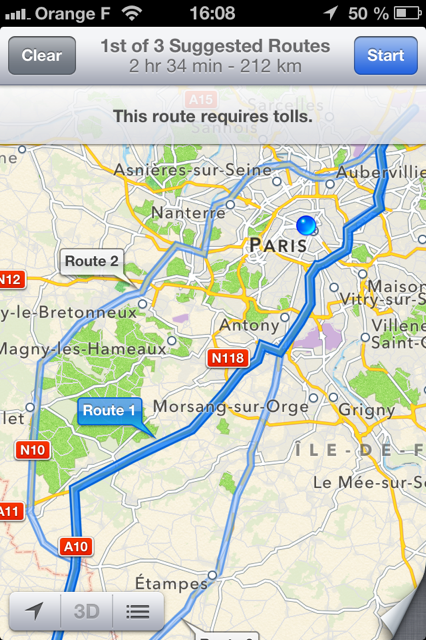 Then take the next road on the left in the direction of Château de la Vicomté (Chemin de la Vicomté). When you get to the top, turn right into Rue Basse des Grouets before taking the underpass and you’ll find 109 on your left. If you are going to the airport, the best solution is to take the A10, then the N10, which takes you through the western suburbs, thus avoiding the highly congested périphérique (the ring road around Paris) . In normal traffic, it’s only 10 to 15 minutes and 20 K longer than Route 1 in the photo (I’m suggesting you take route 2). It says on my iphone that Route 2 takes 2 hours 50 minutes. I would not take the N20. There is a lot of traffic particularly trucks and at that time of the day I don’t think you would really achieve anything because it would still take you onto the périphérique and the N20 is not particularly scenic. Allow at least an hour to an hour and a half extra as traffic is unpredictable!